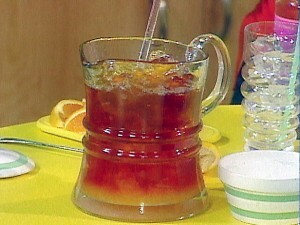 Ice Tea In Sun recipe by Marium Hamid at PakiRecipes.com. In a two quart clear glass container, place tea bags. Add 1 1/2 quarts of cold water. Cover. Let stand in full sun 2 to 3 hours or until desired strength. Remove tea bags, serve over ice. Store this tea in refrigerator. NOTE You don't need the sun to brew Sun Tea. Simply prepare as directed above, except let stand at room temperature for several hours or until desired strength.